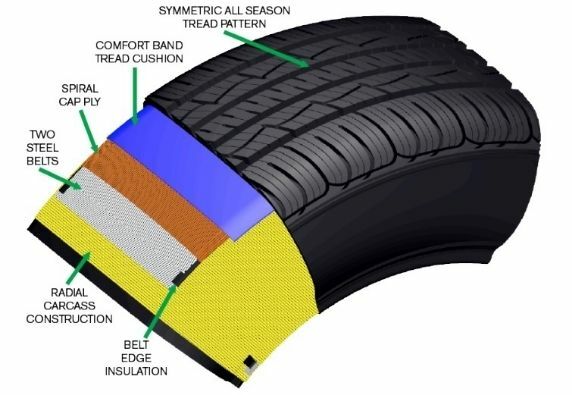 Designed specifically for consumers who demand the highest performance from their touring tires, the ControlContact Tour AS is supported by a 90,000 mile limited treadwear warranty and is backed by Continental's Total Confidence Plan. The ControlContact Tour AS excels at more than just tread life. Full depth siping and circumferential grooves, lined with biting edges called traction grooves, provide enhanced traction in wet and winter conditions. The addition of a comfort band, located beneath the tread, absorbs vibrations to provide a comfortable and quiet ride. 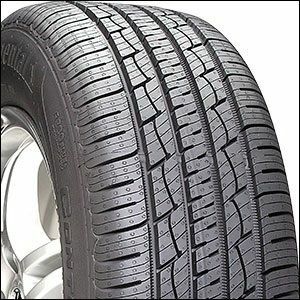 If you're looking for an all around good tire that lasts and inspires confidence in the rain or snow, the Continental ControlContact Tour AS may be for you. 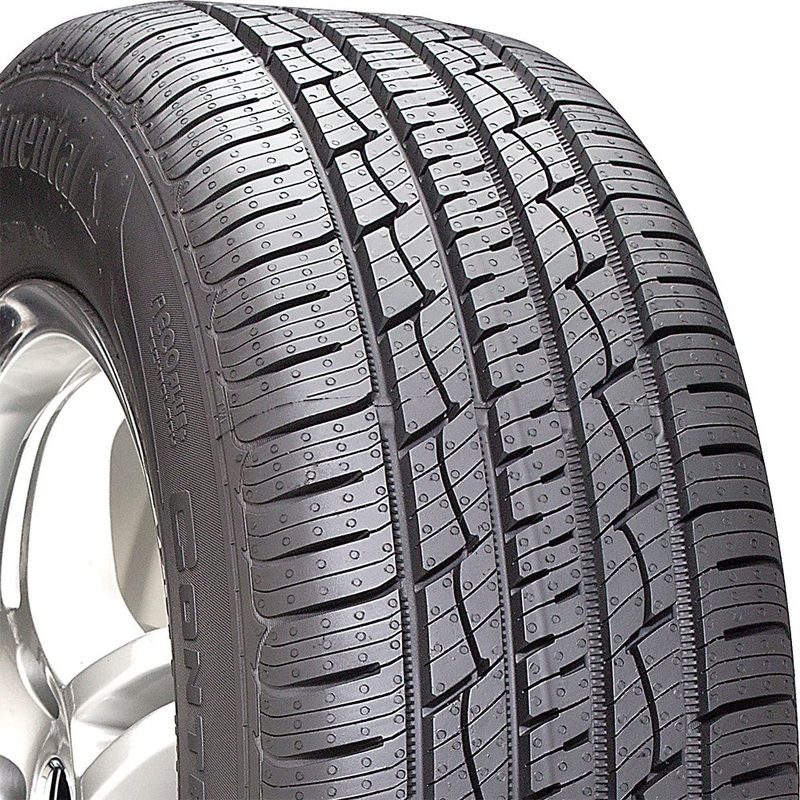 Tg-F polymers improve rubber compound durability in all season conditions to deliver top-in-class treadlife. Even distributed contact patch prevents irregular wear and support te 90,000 mile limited tread wear warranty. If you are running the Continental ControlContact Tour AS, post your review here along with a picture or two. Right now you can save BIG when you purchase of a set of four(4) Continental ControlContact Tour AS tires. Purchase with Discount Tire credit for additional savings!